We can't normally be encouraging when we ourselves are in the shadow of the valley. But, the valley trains us for our calling. Maybe someone famous has previously said those words. Either way, the lord most assuredly spoke them over me today. I don't usually share my Shadow times.... my calling is to encourage. And so I write... I pray. I worship. I do intercessory complaining. :) why me? How come? A little or long Q & A session with the Lord. Mostly the Q part! Until I'm depleted of my self-pity. Then, I feel my heart turn towards Him... my spiritual eyes see and my spirit hears my complaining....in His presence. Suddenly, I'm undone. He didn't undo me. It's who He is and has been for me... That un-does me. When I seek His face.... His heart becomes my answer. He's always been my answer. Some have been given a voice... they are gifted in knowing how to trumpet His message that way. I've been handed a pencil and He's graced it with a heart of prayer. And a prayer in my heart. I'm here to say to someone today, that the valley of the shadow will come. You can't prevent it. But when you cuddle up under His wings.... The darkness becomes so much less scary. Remember, the 23rd Psalm says that He leads you through! He doesn't leave you to camp in the darkness alone. He uses it for your training ground... For your next season. It will be OK!! You will look back on this valley with a sense of uncommon favor and grace for what He released in you then... for the new day!! for the spirit of heaviness." Don't feel like praising? It's OK. After pouring your heart out to Him for a few moments or days... He will lead you there... Into the secret place of His presence. And in His presence... is the whole of what you need. He is your shepherd... In Him... You have everything you need!! Beneath the shadow of the Lord's wings...today, He sent Helen @ enliven blog. It was God's design that I found her a year ago or so. Today.... She spoke directly into my spirit, as she often does. I love her heart. Weeping through her post, "Prophetic Dream: Angels are waiting at your Wall", I felt the greased tip of the Holy Spirit's arrow release a healing balm into my 'spirit-well' with the exact amount of oiled encouragement. Yet, more than that, my painfully stretched heart strings were instantly re-tuned in the gentleness of His hands. Standing in attentiveness to His words through Helen, the shadow was lifted; I could clearly see and feel the obstacles leave. Even in the darkness, know that He still remains. Sometimes, the darkness is simply Him covering you. 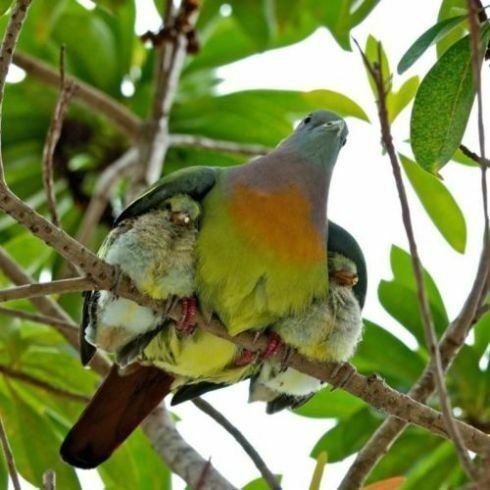 He gathers us under, before we even know that we are in need of His protective care. We just can't see Him under His giant wing. Praise opens up the pathway to our senses...and we become more than aware of His presence! Guaranteed! I love how the Lord uses the body of Christ...all across the world to 'One another' us with His words of encouragement and strength. He used Helen's words to tabernacle within me. In the shadow of my valley, He sent His Helen. Helen didn't know that I would be in the shadow the day she posted. "Prophetic Dream: Angels are Waiting at your Wall"
I can identify with almost everything you have written in this post, and believe absolutely that we are all used by God to build one another up. I have had many experiences like the one you are sharing, and know absolutely that God's thoughts are for our welfare and not to harm us. I will trust in that Word spoken to me, through whomsoever the Lord uses, no matter what trials I go through. I will continue to say 'I love Thee O Lord my strength' as these words have been used to bring me through many trials. I will visit Helen's post. God bless you Patrina as you trust in the Lord with all your heart. No weapon formed against you shall prosper. You referenced another anchor scripture.. He indeed is our STRENGTH. The Lifter of our heads. Psalm 3:3 But in the depths of my heart I truly know that you, Yahweh, have become my Shield; You take me and surround me with yourself. Your glory covers me continually. You lift high my head when I bow low in shame. I have cried out to you, Yahweh, from your holy presence. You send me a Father’s help. Wow...that was the wrong link to the Psalm 3 song I was listening to... but the link I shared instead was just as powerful! He Made me Glad by Hillsong - The Lord is my SHIELD, my STRENGTH, my PORTION, my DELIVERER, my SHELTER, my STRONG TOWER, my VERY PRESENT HELP IN TIME OF NEED!!! Psalm 28:7 NIV The Lord is my strength and my shield; my heart trusts in him, and he helps me. My heart leaps for joy, and with my song I praise him. Psalm 73:26 NIV My flesh and my heart may fail, but God is the strength of my heart and my portion forever. psalm 61:3 NIV For you have been my refuge, a strong tower against the foe. I have just answered the comments you left on two of my previous blog posts. It is so lovely to be back in touch with you, and the scriptures you have put in your last comment here are ones that I have had too in my walk with the Lord. All things are possible with our wonderful Father God because of our belief in His Word after Jesus' sacrifice. We are able to overcome the enemy by the blood of the Lamb and the word of our testimony. 'And I heard a loud voice saying in heaven, Now is come salvation, and strength, and the kingdom of our God, and the power of his Christ: for the accuser of our brethren is cast down, which accused them before our God day and night. And they overcame him by the blood of the Lamb, and by the word of their testimony; and they loved not their lives unto the death. ', and this is what we do and how we do it. I will look up those links you have put in your comments later today. I am feeling very encouraged in the Spirit and am hoping to put up another post soon. God bless and keep you in His safe hands Patrina. the scripture you shared here is the fabric of my being...I am made for testimony! I love testimony! I have a small Bible Study group that meet in each other's homes every week. God called us the 'OVERCOMERS' from the beginning. I loved that. It came right from this verse you quoted. I grew up with testimony in the small country churches that daddy pastored. I miss testimony. I'm working to bring it back into the fabric of the church body....and it begins right here, with our individual sharing on our respective blogs. One body. One spirit. One LORD. The KING of kings is His name. YES...We are able to overcome the enemy by the blood of the Lamb and the word of our testimony.....and they loved not their lives unto the death. Most don't read or take to heart that last line....we must die to self..to live through him. Amen Patrina, it is lovely to hear of your Bible study group. I love that Word, I love prayer and I love praising our Lord, as I am sure you do. God bless you as we all put our trust in that Word spoken to each of us. 2 Corinthians 1:5: "Because, even as the sufferings of the Christ abound towards us, so through the Christ does our encouragement also abound".